This entry was posted on August 24, 2018 at 11:04 am and is filed under Uncategorized. You can follow any responses to this entry through the RSS 2.0 feed. You can leave a response, or trackback from your own site. The drovers routes to Edeyrnion from other parts of North Wales are probably clearer to trace than the routes outward to markets in England. 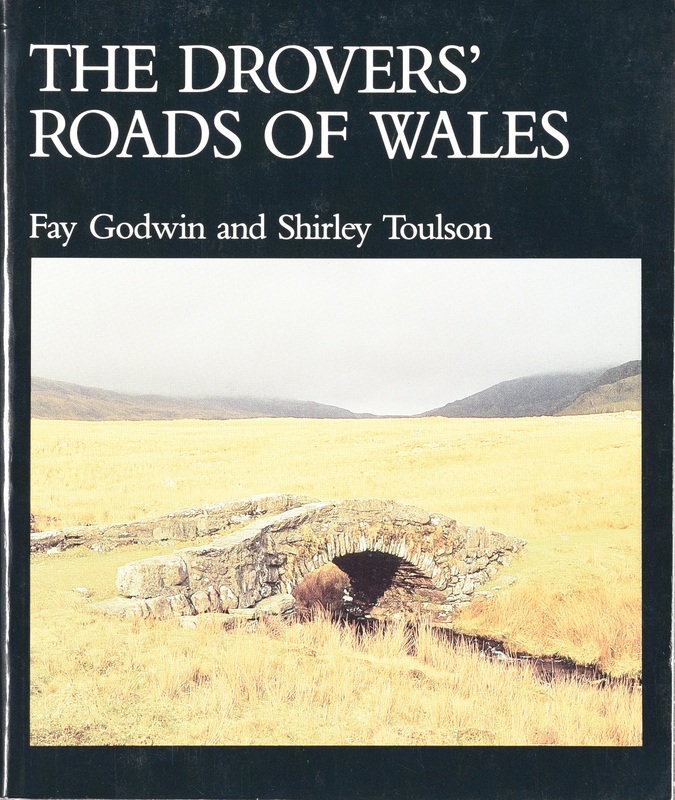 Drovers favoured older trackways not only as as a matter of tradition, but also to avoid costs along the turnpikes, and Thomas Telford’s Holyhead Road, that were built in the late 18th and early 19th centuries. My investigation into droving in Edeynion in the 19th century suggests that drovers conducted business at markets and fairs in Corwen, Cynwyd, and Bryneglywys, and that the preferred routes outward from Edeyrnion ran parallel to the current A5104 to Llandegla, Wrexham, Mold and Chester, or across Llantysilio Mountain on the trackway from Bryneglwys to Rhewl and Llangollen. Other routes may have included the trackway across the Berwyn from Cynwyd to the Ceiriog Valley, and the “pilgrims’ route” through Bettws Gwerfil Goch to the Clwyd Valley. 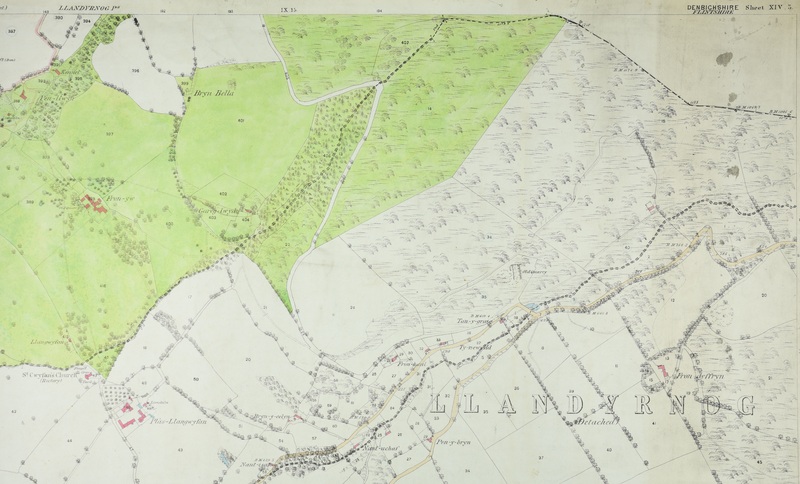 The construction of the railways along the Borderlands in the 1840’s and the Dyfrdwy valley in the 1860’s changed patterns again, leading to a significant decline in the practice as it had evolved over several centuries. Some local drovers became successful livestock farmers and dealers. The principal sources in the investigation included: Atgofion Amaethwr gan Gomer Roberts wedi eu Goluygu gan Syr Bryner Jones. (Cymeithas Hanes a Chofnodion Sir Meirionnydd); the publications of Richard Moore-Colyer on the Welsh Cattle Trade and the Welsh Cattle Drovers; and, accounts of the effects of the Cattle Disease of the 1860’s (Pla yr Anifeiliaid), in Welsh Newspapers Online. The ballad, or poem, titled “Y Bardd yn Ffair Bryn Eglwys”, by Jac Law Fawr published in the Wrexham and Denbighshire Advertiser of 29 August 1863 (page 7), is also interesting for the tongue in cheek description of porthmyn at local fairs and markets.